DON’T MISS: “Game of Thrones” – After seven tumultuous seasons jam-packed with political intrigue, dragon fire, cold wintry dread and gore galore, the wildly popular fantasy series is homing in on what is expected to be an epic conclusion. 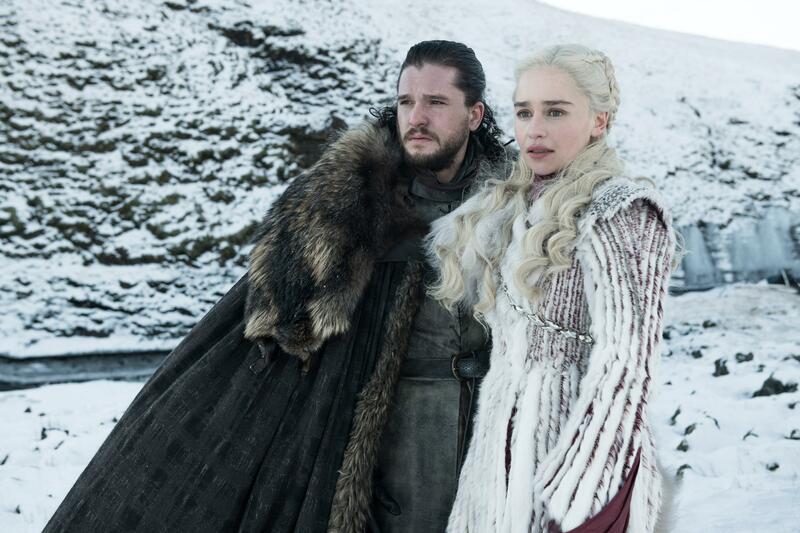 In the first of six remaining episodes, viewers will be reunited with Jon Snow (Kit Harington), Daenerys Targaryen (Emilia Clarke) and their various allies, all of whom are bracing for a hellacious showdown with the Night King and his vast army of reanimated corpses. (Shudder.) And you thought the Red Wedding was bloody. (9 p.m. Sunday, HBO). SATURDAY: “I Am Somebody’s Child: The Regina Louise Story” is a TV film that recalls the real-life journey of a young African-American girl (Angela Fairley) who navigated more than 30 foster homes and psychiatric facilities before age 18, and the one woman (Ginnifer Goodwin) who believed in her. (8 p.m., Lifetime). Published: April 14, 2019, 12:05 a.m.